Commencing on Monday 21st November, the second part of a National Sports Structure Course in Laos concluded Friday 2nd December; the first part having been staged from Saturday 15th October to Friday 11th November. The whole itinerary is scheduled to conclude on Saturday 24th December. 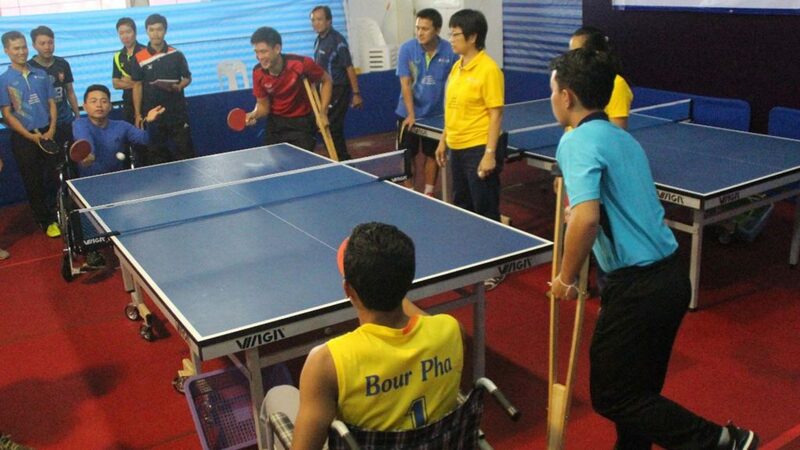 Supported by Olympic Solidarity and organised under the auspices of the ITTF Development Programme, locally matters were administered with the assistance of the Lao National Olympic Committee, the Lao Ministry of Education and Sport and the Lao Table Tennis Federation. Led by Malaysia’s Christina Chee, matters commenced with a five day ITTF/PTT Level One Course followed by a Training Camp. Conducted throughout at the Vientiane Center, a total of 28 students attended; 25 men and three women, proceedings commenced with an Opening Ceremony which several dignitaries attended. Present for the occasion staged at the Lao National Committee premises were Somphou Phongsa (Vice President and Secretary General of the Lao National Olympic Committee), Kasem Inthara (Vice President the Lao National Olympic Committee), Outhen Keobouala (Vice President of the Lao Table Tennis Federation) and Somchay Vongsa (Secretary-General of the Lao Table Tennis Federation). Notably Somphou Phongsa stressed that the all coaches need to continue to learn and enhance their knowledge in order that standards can be raised. Each day two three hour sessions were held with all students being enthusiastic and responding positively to the various topics on offer. 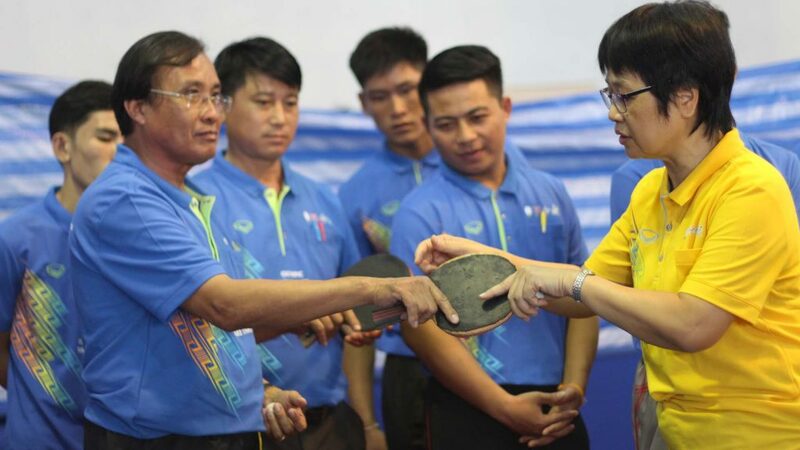 The ITTF/PTT Level One Course concluded, the next stop was Savannakhet, capital of Savannakhet Province for a two day training camp, a distance of 465 kilometres from Vientiane city. It was a journey of seven hours in the vehicle provided by the National Olympic Committee. 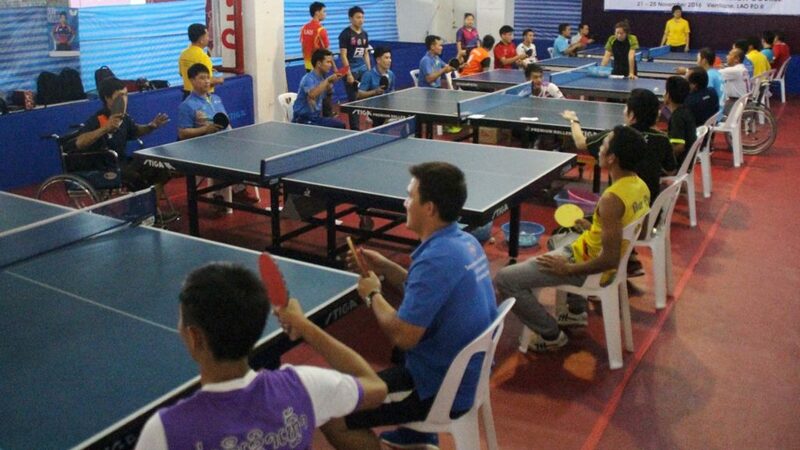 Supported by the Elite Sport Department of Savannakhet Provincial Education and Sports and Savannakhet Table Tennis Association, three coaches, all former national team players, were on duty; a full house of 150 students from three selected schools in the area attended. 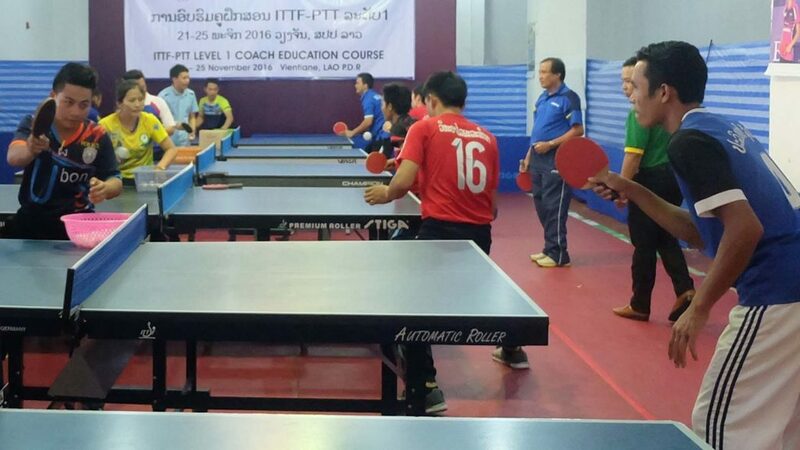 In addition, an ITTF Teacher Course was conducted to selected 12 Physical Education teachers, nine men and three women, from various schools of Savannakhet at the Savannakhet-Kodama Ping Pong Hall, premises which were built in 2015 and donated to Savannakhet by Keiji Kodama and Kazuko Kodama from Japan in order to promote table tennis. Notably throughout the whole proceeding, the initiative received wide ranging media coverage. In particular, the course was reported in the Vientiane Times, the Education and Sports Newsletter and local newspapers in Laotian language.